While Schneider's more offensive comedy has often been unintentional, here he seems intent on ruffling feathers. Deuce Bigelow himself hits the road on his latest tour for his first love - stand-up comedy! In recent years he has buried himself in television projects including Real Rob, a semi-autobiographical comedic account of his life with his wife and daughter. The Emmy-nominated comic and actor has also worked frequently with Adam Sandler, their latest production The Ridiculous Six was released in 2015 on Netflix to mixed reviews, however Schneider's live shows are in constant demand. 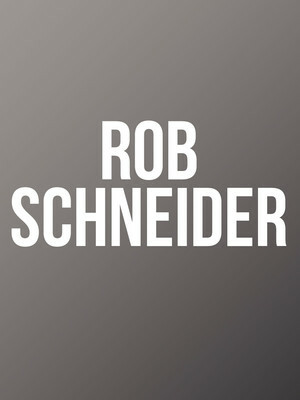 A long-term member of the SNL writing staff, Schneider was nominated for three Emmys and won a Peabody Award for his efforts during his tenure. Sound good to you? 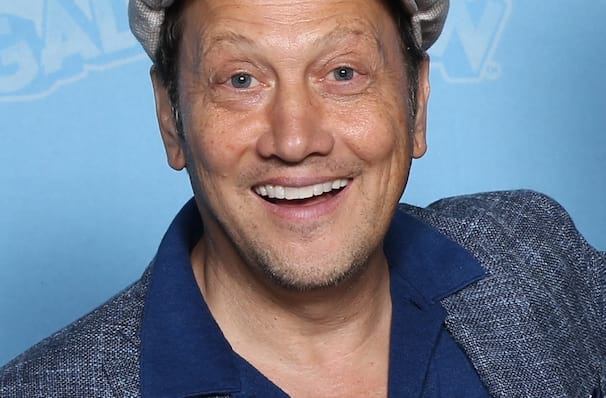 Share this page on social media and let your friends know about Rob Schneider at Birchmere Music Hall. Please note: The term Birchmere Music Hall and/or Rob Schneider as well as all associated graphics, logos, and/or other trademarks, tradenames or copyrights are the property of the Birchmere Music Hall and/or Rob Schneider and are used herein for factual descriptive purposes only. We are in no way associated with or authorized by the Birchmere Music Hall and/or Rob Schneider and neither that entity nor any of its affiliates have licensed or endorsed us to sell tickets, goods and or services in conjunction with their events.